Should the US Be Worried About China’s New J-31 Fighter? China has been not-quite-secretive about its fifth-generation stealth fighter jet. They’ve been pretty tight-lipped when it comes to details of their new all-black fighter jet, but at the same time they don’t seem to be very concerned about these “leaked” photographs that have been spreading through the web. 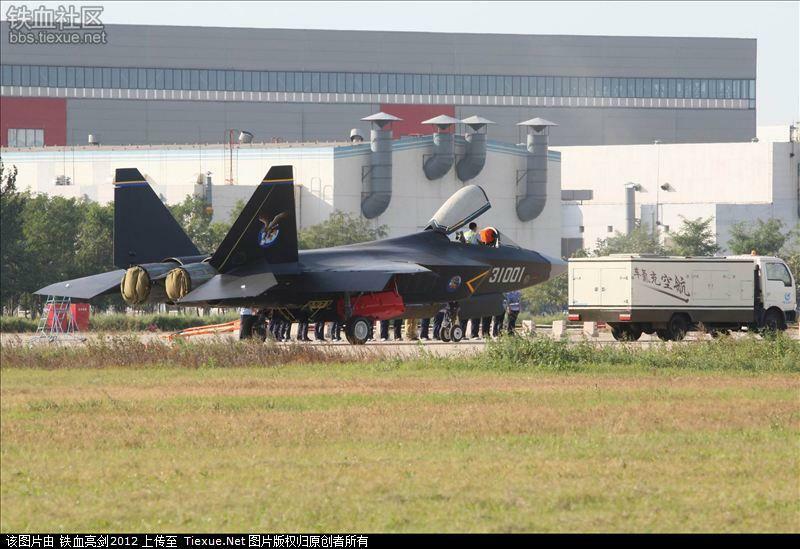 Did an enterprising Chinese sympathizer sneak past security to snap a few photos of the J-31, or is it just a staged leak so that China can toot its own horn? We could speculate about the motives of the Chinese government all day, but one thing we have to take from the leaked photo is that the J-31 is closer to working order than many expected. Experts believe that the Shenyang J-31 is acting as a potential rival to the Chengdu J-20, with each manufacturer vying for the coveted contract with the Chinese government. Others believe that the two aircrafts will perform dramatically different roles. The lighter J-20 could act as an air-to-air interceptor, while the heavier J-31 would serve in a bombing capacity, taking on warships and ground targets. Each aircraft sports radar-evading technology. Ross Babbage of Australia’s Kokoda Foundation claims that we “can’t read too much into it in terms of capabilities.” China’s newest pair of stealth fighters might make other countries a little nervous, but Babbage reminds us that it just isn’t very likely that China will hit a home run its first buy antibiotics in italy time up to bat. China is heavily reliant on Russia, especially for engine technology. Also, the US has been struggling to perfect stealth aviation, and we’ve been at it for decades. More than likely, the J-31 is only the first step on a long road towards truly formidable stealth fighters. Not everyone agrees with Babbage, however. Sam Roggeveen, a security expert with the Lowy Institute in Sydney, said, “This is the second entirely new fighter design that’s emerged from China in the last two years, which suggests a pretty impressive level of technical development and puts them ahead, certainly, of all their regional neighbors.” That much is true. It’s still to be determined just how well the J-31 and the J-20 will hold up against the F-35, but they outshine other countries in the eastern hemisphere. Russia currently relies on its three-year-old T-50 and Japan is still working on its ATD-X stealth demonstrator. So, what can America take from this news? Do the J-31 and J-20 models pose a formidable threat for US air superiority, or will the state-of-the-art F-35s secure aerial dominance? Either way, the USAF may have to rely on military consulting firms to glean the capabilities of these new fighters. It’s a tempting choice – the other option is to sit around and hope that China releases something more substantial than fuzzy cellphone pictures.